So we're a bit behind on sharing our projects. Sorry. There are so many of them that we don't know where to start. For now, here's one completed a few months ago for The Yogi Group. The client wanted something current but with an 'old' feel, so we've used a simple silhouette of a yogi wearing headphones, and added the 'distressed' element markings to give an old-world feel. 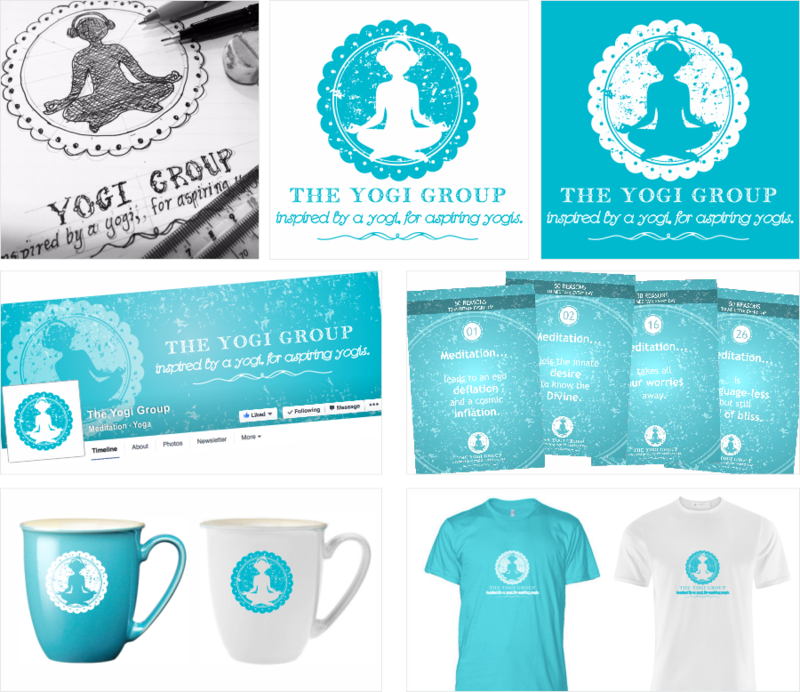 The turquoise blue is a mix of grass green and sky blue to reflect the yogi's aspiration to grow from earth to infinity. The 'coaster' border is for all the coffee-addicts out there, to remind us that yoga and meditation are like coffee for the soul and that we should try not to become addicted to the material world. So far, besides the logo, we've designed a Facebook cover, a set of inspirational meditation cards, a round sticker, and a proposed mug and T-shirt reproduction. The purpose of The Yogi Group is to create awareness of the ancient disciplines of yoga and meditation through music and mantra. Om.